1 of your 5 a day. No added nonsense. No nut ingredients. Gluten free. Vegan friendly. Kosher - KLBD. 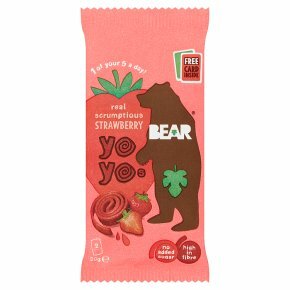 Down in the Big Cave, BEAR gently bakes strawberry yoyos. Delicious pure fruit rolls with no added sugar or concentrates.